Big Bend - Texas Nature: Presidio Wetlands? The B.J. Bishop Wetlands is now another roadside attraction in Presidio, Texas. 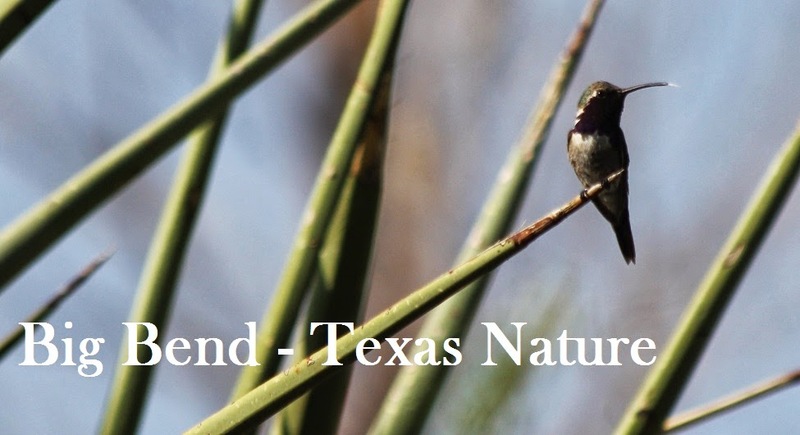 Bird Watchers now have a great place to see the birds of the Big Bend. This project was made possible by a matching grant from The North American Wetlands Conservation Act that conserves North America’s waterfowl, fish and wildlife resources while producing a variety of environmental and economic benefits. Its success is driven by partnerships involving federal, state and local governments; nonprofit organizations and community groups. Every federal dollar provided by NAWCA must be matched by at least one dollar from non-federal sources. The partners in B.J. project are The Trans- Pecos Conservation Land Trust, The Lajunta Heritage Center, and the City of Presidio. In kind donations of Land and labor served as the match with a local parties working together. The Texas Conservation Corps was on site this past week transplanting aquatic plants from the Presidio Waste Water Treatment Plant that uses them in the process to filter the nutrients out and treat the effluent to TCEQ reuse standards. The recycled water can be sent to the wetland or into the Rio Grande as needed. The water is not for human consumption but perfect to support a new habitat for our local birds, butterflies and wildlife. Viewing overlook is on the levy just off FM 170 East at half mile past Fort Leaton. Guest Post: 2 May 2015 by Paul C.